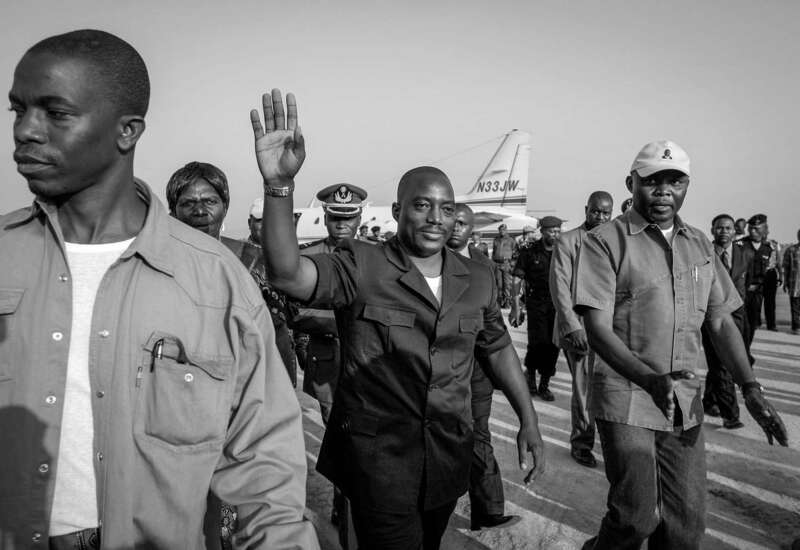 Joseph Kabila, presidential candidate, greets his supporters at Bunia airport July 12, 2006. Presidential and parliamentary elections is slated for July 30th. The war-torn nation last had the national election more than 40 years ago. Kabila became interim president after his father was assassinated, and his the front runner in the campaign.